The performance of the components (amplifiers, cables, splitters, ...) used for the installation of the actual network infrastructure inside buildings, stadiums or tunnels influences significantly the coverage and the capacity of the wireless network. 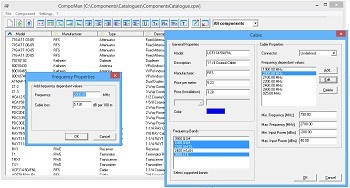 A catalogue with all components used for the installation of wireless networks inside buildings, stadiums, and tunnels can be generated with CompoMan. The user can define the electrical and mechanical properties of the components as well as their costs (procurement costs and mounting costs). 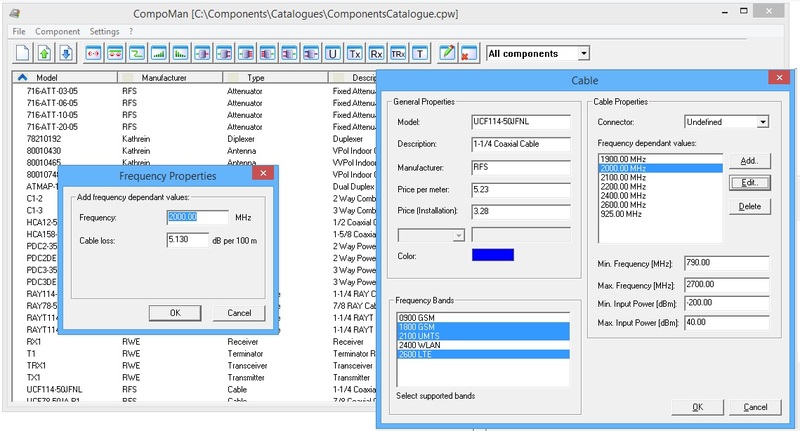 The catalogue with the components can be used in ProMan to plan the actual wireless network infrastructure inside the building. The components can be placed and moved with the mouse in the 3D Scenario and the length of the cables are determined automatically. Further information related to the planning with the components can be found in the description of ProMan's indoor module.